HomeHow to HelpVolunteerSave the Manatee Club’s Volunteer Appreciation Pins! 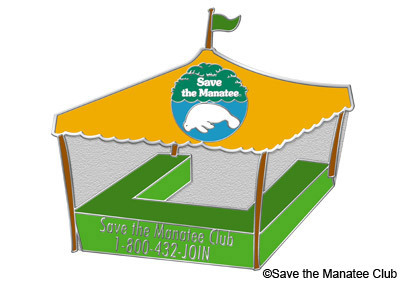 Save the Manatee Club’s Volunteer Appreciation Pins! Our Club volunteers deserve a special thank you for donating hours and often years of time and service to help the manatees. 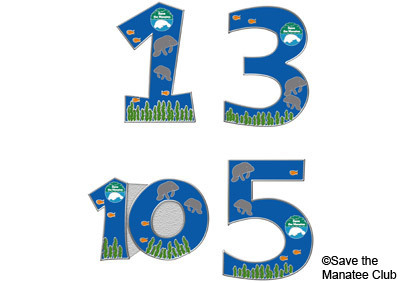 To qualify for any of the customized one-inch pins, registered Club volunteers must also be a current Club member. You become a member by adopting a manatee, and you stay current by renewing your adoption annually. 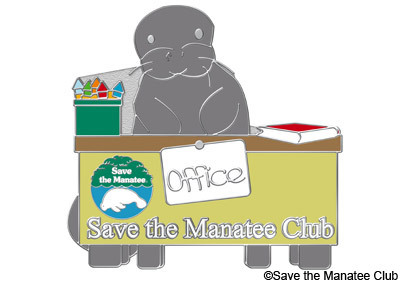 Tabling Pin – For volunteers who staff education tables for Save the Manatee Club at events and festivals for three hour shifts or more at three events per year, which includes one opening or one closing. Presentation Pin – For volunteers who give three speaking presentations or more per year for the Club. In-Office Pin – For volunteers who help out in the Club’s Maitland office for a total of three visits or more and for a minimum of 10 hours per year. Years (Tenure) Volunteer Pins – Volunteers who earn any of the above pins in a year also receive a tenure pin. 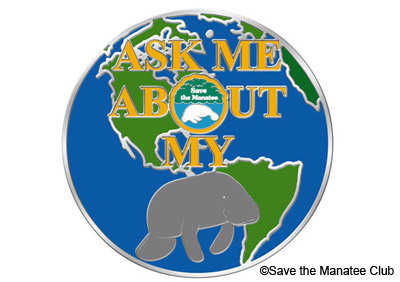 “Ask Me About My Manatee” Pin – This pin is included in each new volunteer package with name tag and lanyard. All current volunteers who are active in tabling, presentations, and volunteering in-office will also be sent a pin. 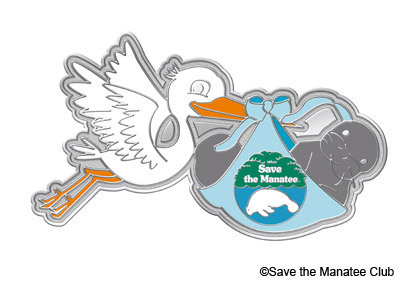 “Manatee Adoption” Pin – The “stork” pin is given to all volunteers who renew their adoptions on their next renewal date. We thank our volunteers for all that you do – for your hard work and commitment to the manatees. They are very fortunate to have you in their corner, and we are so lucky to have such dedicated advocates. 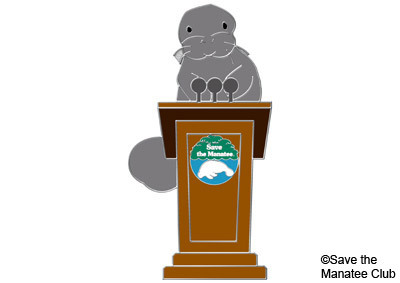 Communications and Outreach Manager, at dngai@savethemanatee.org.